Siena Kotone: Siena's Ver. 1.2! D8 The double lariat will be with her older voicebank ok? 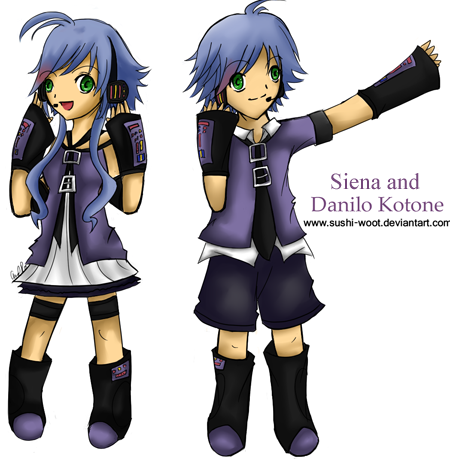 Siena Kotone is a 15 year old UTAU from the japanese voice synthetizer UTAU. She is a spunky and happy. She is able to sing Japanese, Spanish and English (Spanish and English with a bit of work) Danilo Kotone is Siena's brother. His attitude is more quiet than Siena. He is Siena's genderbender at g+15. Siena and Danilo characters sets!